I love helping people achieve their Real Estate dreams and goals! “Erin is very pleasant and has an upbeat disposition. She always found houses that fit our price range. She never rushed us when we were looking at properties. She was accommodating in last minute appointments. Erin advised when asked for her option and let us make up our own minds. We would definitely recommend her to people when listing or buying a home. “The folks at Huntley Realty have been wonderful to us-particulary Erin Bendis. She devoted a lot of time to us over a 6 month period until we sold our homes elsewhere and was instrumental in us finding the home we love in Del Webb. Her knowledge of the area and willingness to do whatever she could to make our purchase and move-in as pleasant as possible were remarkable. “Just wanted to personally thank Erin. 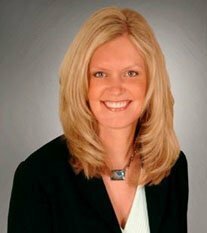 Erin represented Huntley Realty by being Professional, very friendly, and most importantly responsive to our needs. Erin was always available to answer our questions via phone but she also answered questions at random via text which made her personable and made us feel important. Erin sold our townhouse in Huntley and kept in touch with us. We also used her in search for our new home. She made the process comforting, helped us to understand things, and she also made good referances. In the process we gained a good neighbor and friend. “We wanted to live in Del Webb for a long time so we stopped at Huntley Realty and met up with Erin Bendis. Told her what we wanted and she got right on it. We ended up having a house built but Erin stayed in touch with us almost to the end. Erin goes above and beyond in trying to make sure her clients get what they are looking for no matter what avenue she has to go down. Norma and I thank you, Matt, Erin and your associates for getting our house sold. We faced a very challenging market situation and you came through. We will strongly reccomend Huntley Realty to any of our friends who our thinking about selling their Sun City Huntley home. “We would recommend Erin Bendis as a realtor. She advocated strongly for us in a difficult market. She was always willing to show us homes at a moments notice and was always available for questions. She is a real professional and we appreciate her role in helping us find our dream home. “My husband and I bought a home through Huntley Realty. We were impressed with our agent’s (Erin Bendis) knowledge of the area’s inventory. We were also pleased with how smoothly negotiations went – I’m sure aided by the fact that both agents were with Huntley Realty. “I was very happy with the service at Huntley Realty. I would highly recommend using them. “Erin was very professional, and informative through the entire process.